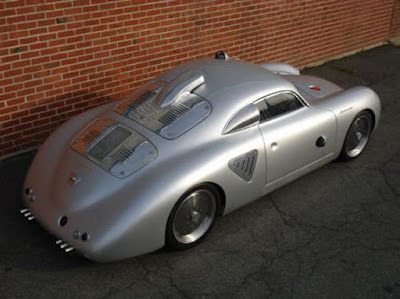 The Porsche Silver Bullet Hot Rod models built on a 914-6 chassis with a body based on a 1955 356 Continental Coupe, combined with the 911 RS 3.0-liter engine that capable of generating power up to 279 hp (208 kW). 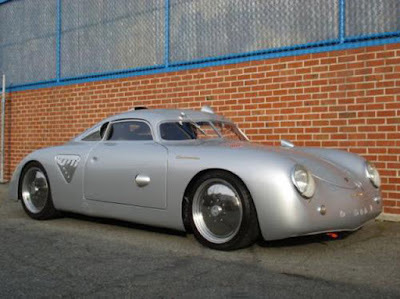 This car was rebuilt by a Porsche enthusiast from Australia, Jeff Dutton in 1992. 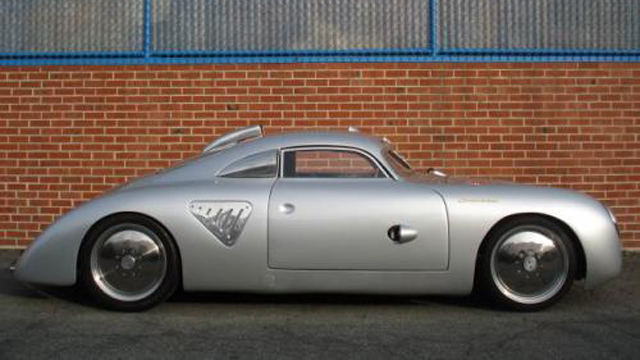 This car is a stunning and totally unique one-off that subscribes loosely to the 356 Outlaw philosophies. The lengthened body and chopped roof is complimented by the streamlined exterior and numerous exquisite design touches. 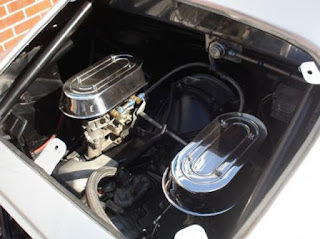 The car also use with Weber carburetors, as well as a 915 5-speed gearbox. 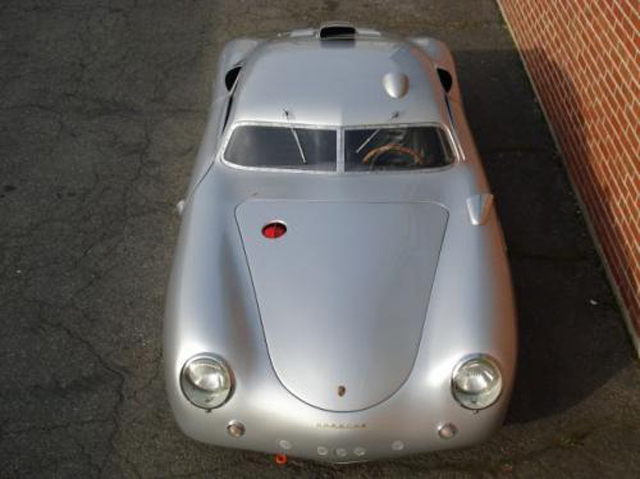 The disc wheels are 17 inches in diameter and are highly polished to match a number of other accents on the car, including the 718 RSK style side vents, driver’s side mirror, as well as the engine and transmission access covers. 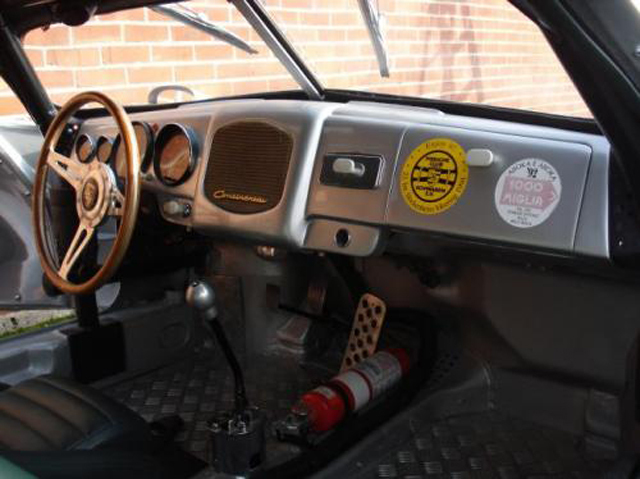 Hidden behind the solid billet wheels are brakes from a 934. 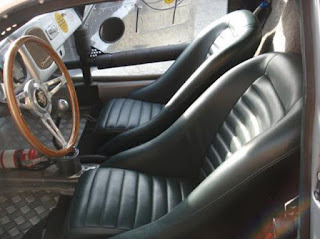 To the interior of this unique car, Jeff Dutton coated its two-bucket seats with green leather and wooden steering wheel combined with Porsche's crest is very much in keeping the 1950`s race car nuance. The dashboard provides a similar effect and has been carried over from the Continental, complete with large `Telefunken` radio speaker aperture. 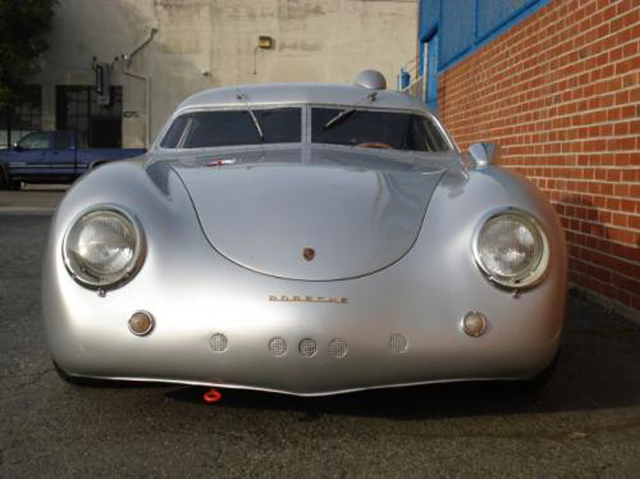 The instrumentation is by timeless VDO instruments, some of which have been sourced from a 911. There is no carpeting or other upholstery, while the door panels are nothing more than polished stamped aluminum panels. 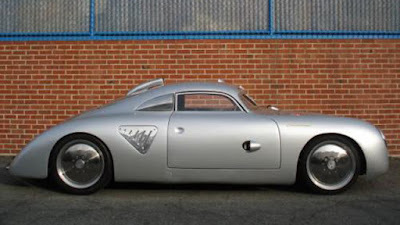 The windscreen and side windows are Plexiglas, as is the rear porthole, which provides a great view of the engine, and an okay view of the scenery behind the car through the louvers.